The CEO of a U.S.-based sports venue catering firm was caught on video abusing a 1-year-old Doberman Pinscher puppy in the elevator of a Vancouver, B.C. apartment building last month. 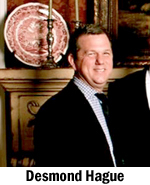 On July 27, Desmond Hague, the CEO of Centerplate, a U.S.-based catering firm with contracts for sporting venues worldwide, entered into an elevator with his Doberman, Sade. Surveillance video from the elevator, which was turned over to the local SPCA, shows Hague repeatedly kicking the dog, and then yanking up sharply on the leash, choking the dog briefly before releasing it. Last week, officers from the B.C. SPCA entered Hague’s apartment with a search warrant and found the dog in a small urine-soaked crate, with no food or water available. The dog was taken into SPCA custody, and is doing well, according to local news reports. No charges have been filed yet in the case, although the SPCA has recommended to the local prosecutor that Hague be charged under the criminal and/or provincial prevention of cruelty to animals act, which could bring jail time or a lifetime ban on pet ownership in Canada. Hague lists a Stamford, Connecticut address as his U.S. residence. As news of the cruelty broke last week in Canada, there has been a growing public outcry at stadiums, arenas, and other venues that have contracts with Hague’s company to terminate those contracts immediately. Below is the surveillance video from the elevator that shows Hague kicking and choking the dog. Yesterday there was a minor setback in the long journey to Mars when a Space-X test rocket exploded during a trial flight from the company’s launch facilities near McGregor, Texas. The model F9R test rocket performed a self-destruct procedure as a safety precaution after a computer detected a glitch during the launch process. Space-X confirmed the computer-controlled self destruction in a statement released shortly after the disaster. Space-X’s F9R rocket is unique because it has been designed to return to a landing pad after launch. Most space rockets are designed for a one-way trip only. They fall back to earth and land in the ocean, or burn up in the Earth’s atmosphere. This is not so with the F9R, which has landing legs that allow it to set back down in a spot near where it launched from. Although Space-X has launched this exact model in successful test flights in the past, Friday’s launch was designed to test some of the rocket’s limits – and as you can see in the video below, the tests were unsuccessful. On Saturday night, NASCAR driver Tony Stewart was involved in a fatal dirt-track racing accident at upstate New York’s Canandaigua Motorsports Park. Stewart was in New York for a NASCAR race on Sunday, which he did not compete in, at nearby Watkins Glen International Race Track. Saturday night’s race was not a NASCAR event. Another racer on the dirt-track course was killed when Stewart’s car slide into him and tossed him about 50 feet down the track. 20-year-old Kevin Ward Jr. died from his injuries at a nearby hospital. His car was struck by Stewarts in a turn, and after he spun out, he climbed out of the car and walked along the edge of the track, motioning towards Stewart. Stewart’s vehicle then approached alongside of Ward and struck him by sliding into him. Law enforcement investigators are still working on the case, and many spectators allege that Stewart purposely drove close to Ward as he was walking on the track, and accelerated as he passed him, causing the car to slide into Ward and throw him into the air. 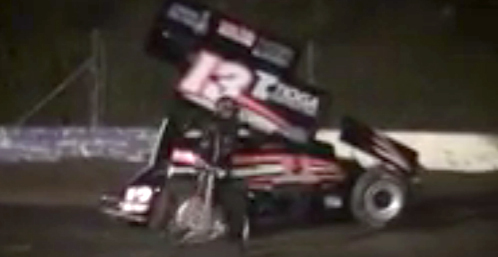 Video from the race, below, shows Ward being struck by Stewart’s car. You’re probably familiar with the Comcast cancellation debacle that tech journalist Ryan Block and his wife experienced last month when they had to sit for hours on hold with Comcast, and then endure the efforts of a service rep who just would not let the couple cancel their Internet service. Now, it appears that online service has-been AOL is subjecting another tech journalist to a similar fate. Why do these companies hate tech journalists so much? Okay, this probably would have happened with anyone – but tech journalists just have a better outlet for their frustrations! In today’s tale of customer service horror, tech journalist Peter Kafka, who writes for Re/code, is attempting to help a family member cancel their unwanted AOL service. He can’t easily figure out how to do it on AOL’s site, and resorts to Googling the information. This leads him to a series of unfortunate calls… and well, just read through his Tweets below to see how he’s faring. Hopefully he’ll have the service canceled quicker than Block was able to – but I’m not holding my breath. He is dealing with AOL, after all. Turns out my father-in-law is paying aol $34 a month for “AOL Total Advantage Premium Complete”. Trying to help him unsubscribe now. Not surprisingly, aol does not make it easy to stop paying them $34 a month.
.@Wolfson my mother in law tried to cancel a couple years ago. they talked her into keeping a $10/month plan. 3) Chatted w/online rep, who told us we had to call to unsubscribe. 4) Called unsubscribe #, went through menu 5) Got disconnected. 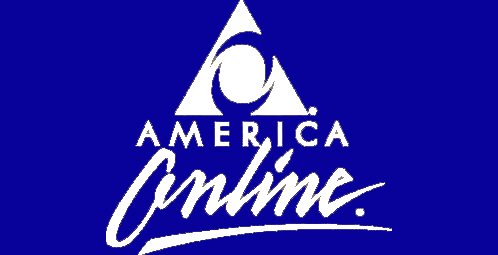 Second time running through AOL automated phone menu, giving them phone and screen name info, disconnected again. New plan is to go through credit card company and try to cancel through them. Sure seems like a lot of hoop-jumping, tho, @timarmstrongaol. I understand why @timarmstrongAOL would make it difficult for my father-in-law to stop giving him $408 a year for services he doesn’t use. But we are persistent! We will figure it out. What do you do when your wife comes home in the wee hours of the morning, a bit tipsy and looking for a snack? Well, if you’re anything like this husband, you grab your phone and start recording her, because the results are sure to be hilarious. 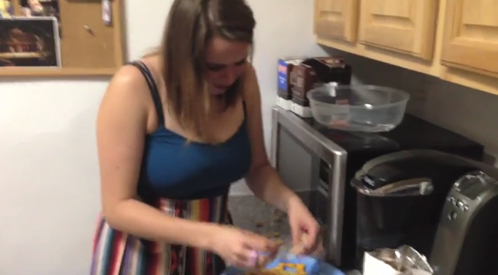 What she’s cooking – well, if you can even call it cooking – isn’t really a grilled cheese. It’s more of a massacre of some poor Pepperidge Farm goldfish crackers with a stick of mozzarella string cheese. But the execution is spot on. According to the husband, who posted the video on Reddit this afternoon, his wife was aware he was taping, and that he was going to post the video to YouTube. So, if anything else, you have to admire the strength of their marriage, even if she doesn’t quite have the right recipe for a grilled cheese sandwich! Perhaps the fact that he did that day’s laundry, as he admitted in the video, will absolve him of any ill will from her when she sobers up in the morning.